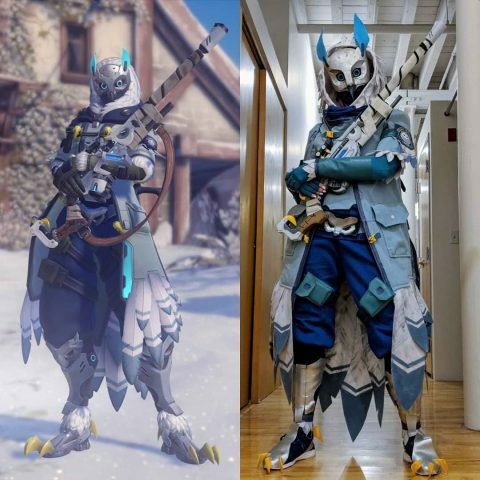 Cool Down with an Overwatch Ana Snow Owl Skin Cosplay « Adafruit Industries – Makers, hackers, artists, designers and engineers! I made pretty much all of this from scratch, including the mask and rifle. 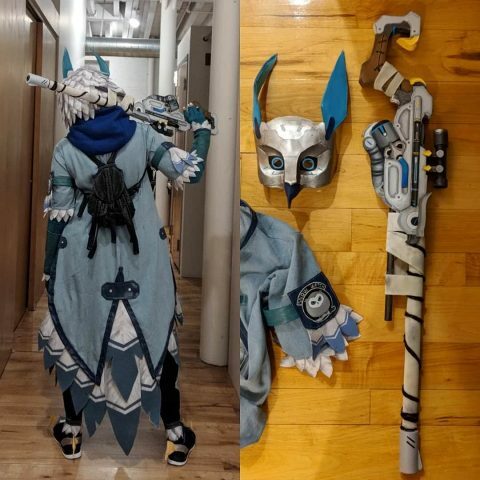 I had to cut some corners on the outfit to get it ready in time for PAX East last week (though each of those ~200 “feathers” were hand-cut and -painted). Get a closer look at the mask and rifle below.